In 1939, Rev. Samuel W. Anderson came to Auburn to hold a tent meeting revival. Rev. Anderson had travelled throughout NY and PA and had started several churches in the two states in previous years. A tent was pitched in the front yard of a home at 35 Franklin Street. Several of these meetings were held at this location from 1939 to 1941. 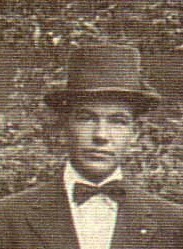 In April of 1941 Rev. Anderson Purchased the home at that address for $4283.20 and the congregation moved inside. The building had long been the parsonage of the First Presbyterian Church. On April 10, 1944 the church was officially organized with 24 charter members. The church bought the building from Rev. Anderson and, on October 24, 1945 incorporated as the “Christian and Missionary Alliance Church of Auburn. The building at 35 Franklin Street served as the home of Rev. 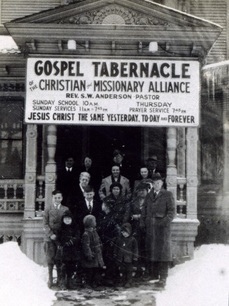 Anderson and his wife Mildred, as well as housing a small auditorium, and a few small Sunday school rooms. In February of 1950, Rev. Anderson moved to Oneonta NY to become a part of an extension ministry, and eventually retired to Endicott NY in 1955. On April 5th, 1950 Rev. William A Benson and his wife came from The Gospel Chapel of the C&MA (Christian and Missionary Alliance) in Clark Mills, NY, to take over as pastor of the Auburn Alliance Church. Rev. Benson served at Auburn Alliance until 1953. After Rev. Benson, Rev. L.J. “Jerry” Reid took over as the pastor of the church. Jerry and his family moved into the second floor of the property at 35 Franklin, and immediately went to work with others in the congregation remodeling the building to better meet the needs of the church. The basement became Sunday school space and classrooms, and the first floor was remodeled with more Sunday classrooms and a larger auditorium, with seating for just under 100 people. In 1971, God provided and fulfilled Jerry Reid’s vision for purchasing a property at the “top of the hill” on North Seward Avenue, the current location of the church. 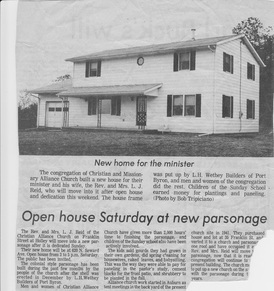 The church people began building a new parsonage at the new location, and the Reid’s moved in in 1974. In that same year, the Route 5 Arterial in Auburn was completed, solidifying Auburn Alliance’s presence on the main street of Auburn. Jerry Reid retired in the summer of 1977, and the Rev. 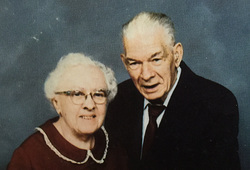 George K. Smith, with his wife Barbara, relocated from the Alliance church in Booneville NY to lead the Auburn church. Under the leadership of George Smith, the church continued to grow, and the building at 35 Franklin was remodeled once again so that all three floors were being used for ministry. Eventually the church outgrew the old, rehabilitated house, and plans were made to build a new church building at the “top of the hill” on North Seward Avenue, next to the parsonage. 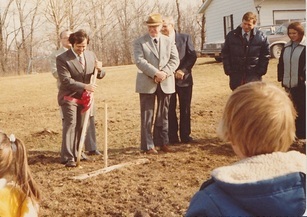 Construction began on the new church in 1981, with plans for an auditorium that would seat just under 300. Just before the completion of the new church building, Rev. Smith left the church. The Auburn Alliance congregation moved into the new building under the leadership of interim pastor, Rev. Fred Spence. In 1983, the Rev. 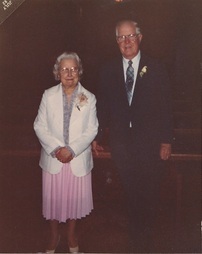 Richard “Rick” Rose and his wife Berhline took over the leadership of the church. Auburn Alliance congregation continued to grow in the new location, and the church became a fixture in the community. In 1989, Rev. Rose left the church to take over a ministry at the Alliance church in Geneva, Ohio. Despite being without a full-time pastor for nearly a year, the church continued to grow under the leadership of the church elders and the volunteers from the congregation. In 1990, Rev. David Richter and his wife Renee moved from the greater Philadelphia area to take the over the ministry at Auburn Alliance. 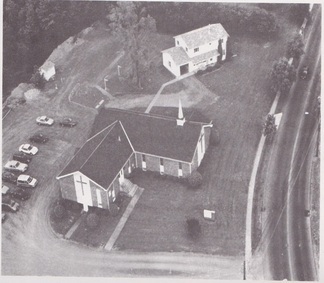 In 1992, the property adjacent to the church was purchased and Rev Richter and his growing family occupied the house on that property. The parsonage that had been built in 1971 became Sunday School and classroom space to accommodate the growing needs of the church. The church also expanded to two Sunday morning services in 1993 to meet the needs of the congregation in what was increasingly becoming a church building that was too small. 1994 saw the addition of a youth pastor, Kurt Huber. While pastor Kurt was responsible for the youth of the church, he filled many other roles along the way. The needs of the church continued to grow, and Auburn Alliance once again invested in a full-time assistant pastor by hiring Pastor Paul Hickernell, who with his Elise, joined the church in 2000. It was also in the year 2000 that the congregation and church leadership decided it was time to begin investigating an expansion project for the church building. After a couple of years of planning, the church congregation voted in 2004 to begin the design and construction of a $1.3 Million addition that would include a new auditorium with seating for over 500. Also in 2004, the church added a youth coordinator by hiring Jason Root, who served in that capacity for nearly two years before relocating to Nashville, Tennessee. 2005 saw the departure of Paul Hickernell, and the beginning of a campaign to raise money for the proposed construction project. Before building the addition, the parsonage building that had been built in 1971 needed to be demolished, a project that was completed in 2006. Also in 2006, the Rev. Jim Main was brought on as the new Associate Pastor. Pastor Jim and his wife Cathy served faithfully at Auburn Alliance until 2010. Ground was broken for the new addition in 2007 and construction was completed in early 2008. A Building Dedication service was held on May 18th, 2008. In 2011, Rev. D. Mark Mindek was added to the pastoral staff as the new Associate Pastor. Mark and his wife Rebecca, who had grown up in the Auburn Alliance Church, had been previously serving as missionaries to the country of Macedonia. 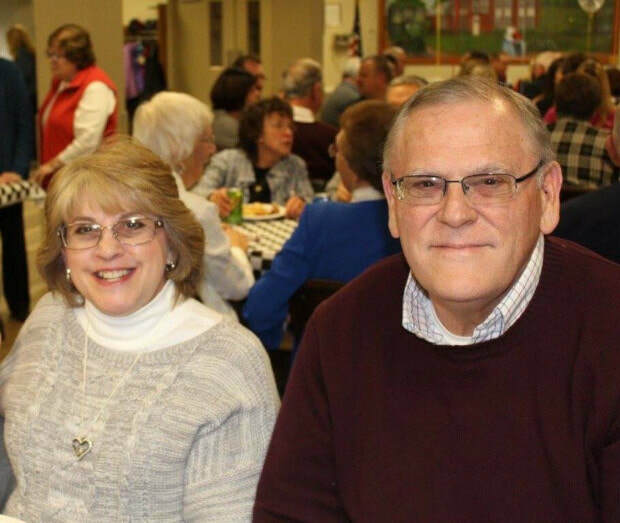 On January 6th, 2019, Rev Dave Richter and his wife Renee ended their long, 28 year history of leading the Auburn Alliance family, In his farewell sermon Pastor Dave spoke of the vision for the future and understanding that Auburn Alliance must be beacon of prayer in our community. "Nothing of any spiritual significance happens without prayer," he said. His charge to the church was to never stray from our strong faith in Jesus. Our church history is full of miracle after miracle of God's leading and design because of faith and prayer. Today, the lighted steeple of the Auburn Alliance Church building stands atop the hill at 630 N. Seward Avenue as a symbol; a beacon to the City of Auburn and the surrounding areas, that there is light and hope inside for all who seek it. The congregation has grown, and the faces have changed, but the Auburn Alliance Family still stands ready to love and encourage all who come, to find the heart of Jesus and share in all of His blessings. Most importantly the Auburn Alliance Family has never lost the vision of Rev. S.W. Anderson, to reach all of Auburn and the surrounding area with the love of Christ. Former Parsonage at 620 N. Seward Ave.